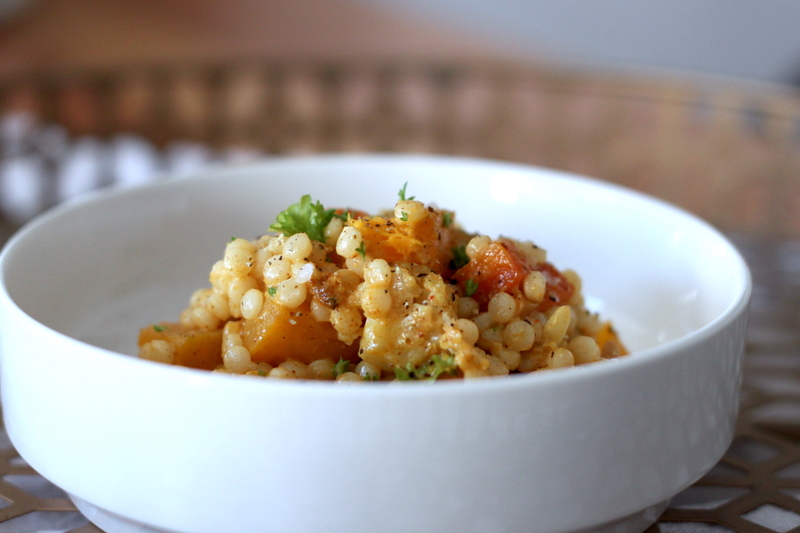 My friend Kalli offered me one bite of this Curried Israeli Couscous from Mendocino Farms and I never forgot it – that was over 2 years ago. 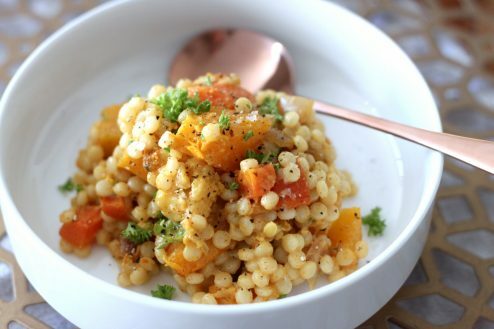 I searched and searched the internet for even a hint on how to recreate this amazing Curried Israeli Couscous and came across the recipe. I’ve made it so many different ways over the years for so many different people and it’s a dish that I get recipe requests for both in the US and here in New Zealand. The one thing I love about this recipe is that it stands up to variations so you basically always get a delicious outcome. You can swap in and out vegetables based on what you have on hand or you can double the recipe (or triple it like I did for the BBQ lunch the day after my wedding) easily for a crowd. My favorite is to serve it alongside grilled lamb but is also great with roast chicken or fish. I make a huge batch on Sunday afternoons and take it for lunch piled on top of salad greens pretty much all week. Insanely delicious. I’ve adjusted the recipe to basically be the ratio of vegetables to couscous that I like but you can change that up as well, adding more couscous and slightly reducing the vegetables. 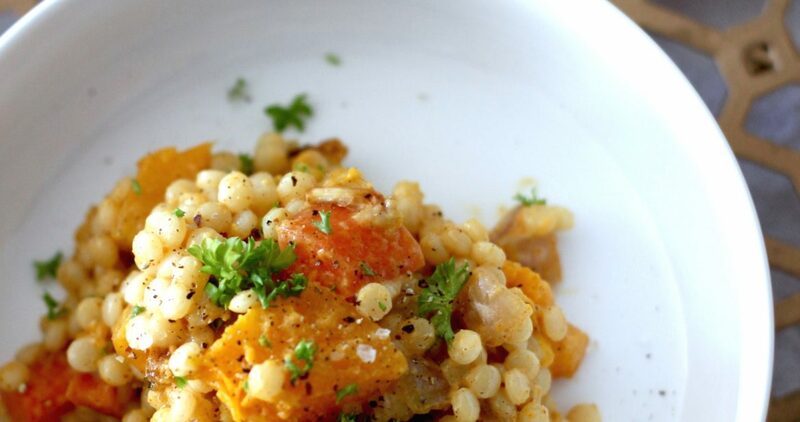 Also, depending on where you are in the world, Israeli couscous is also known as Pearl Couscous and honestly if you can’t find it near you, you can swap in Orzo which is more readily available and basically the same thing i.e. both pasta but just a different shape. I hope you get to make this very soon! My friend Kalli offered me one bite of this Curried Israeli Couscous from Mendocino Farms and I never forgot it - that was over 2 years ago. 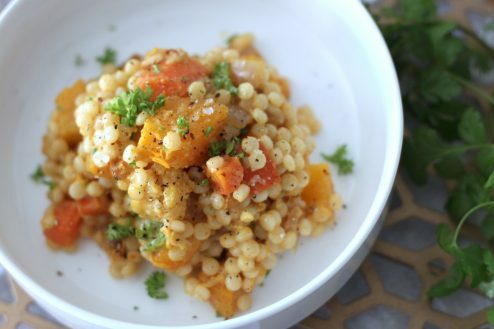 I searched and searched the internet for even a hint on how to recreate this amazing Curried Israeli Couscous and came across the recipe. I’ve made it so many different ways over the years for so many different people and it’s a dish that I get recipe requests for both in the US and here in New Zealand. In a large bowl, add all cut vegetables, spices, brown sugar and toss with oil. 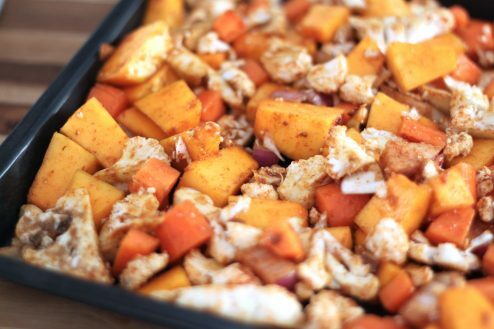 Spread evenly on a sheet tray and roast in the oven until golden brown and pumpkin and carrots are easily pierced with a knife. Meanwhile, prepare Israeli couscous according to the instructions on the package. Drain and place in a large serving bowl; let cool. 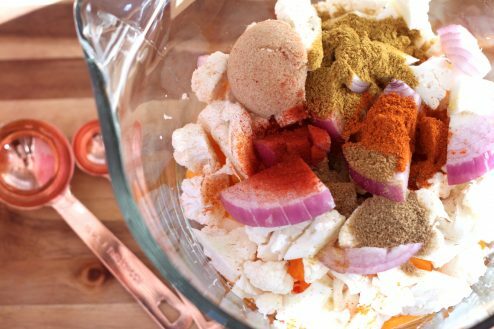 Add roasted vegetables, garlic powder, herbs, mayonnaise and the juice of one lemon. Mix until well combined; salt and pepper to taste. Best served cool but not chilled.